You can purchase tickets below. The ticket will be automatically sent to you via email. You can print out the ticket (.pdf file) or show it on your phone when you come to pick up your dinner. Purchase 1 or several for friends and family members. 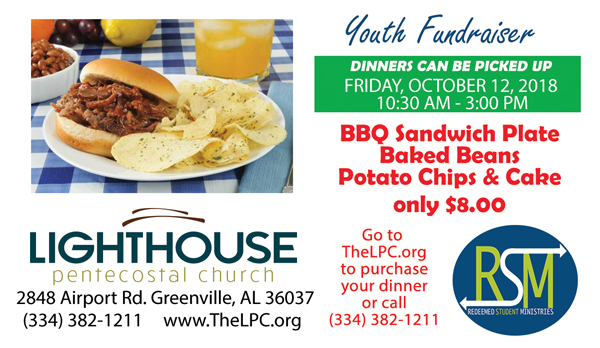 This is fundraising effort by the Youth Department of the Lighthouse Pentecostal Church of Greenvlle. 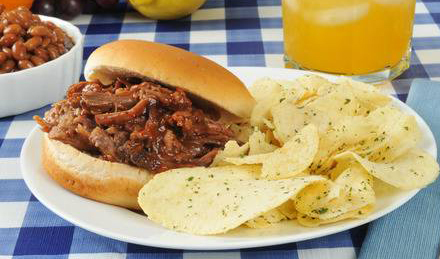 We can deliver orders of 5 or more n the Greenville, AL area for free. Optional: Please add any additional comments or instructions.